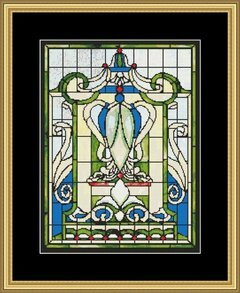 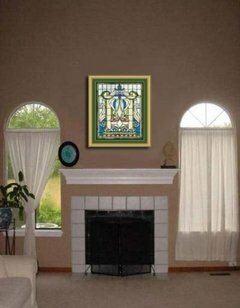 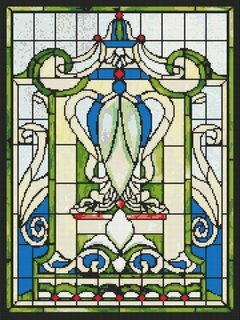 This cross stitch pattern design features a lovely Victorian stained glass window. 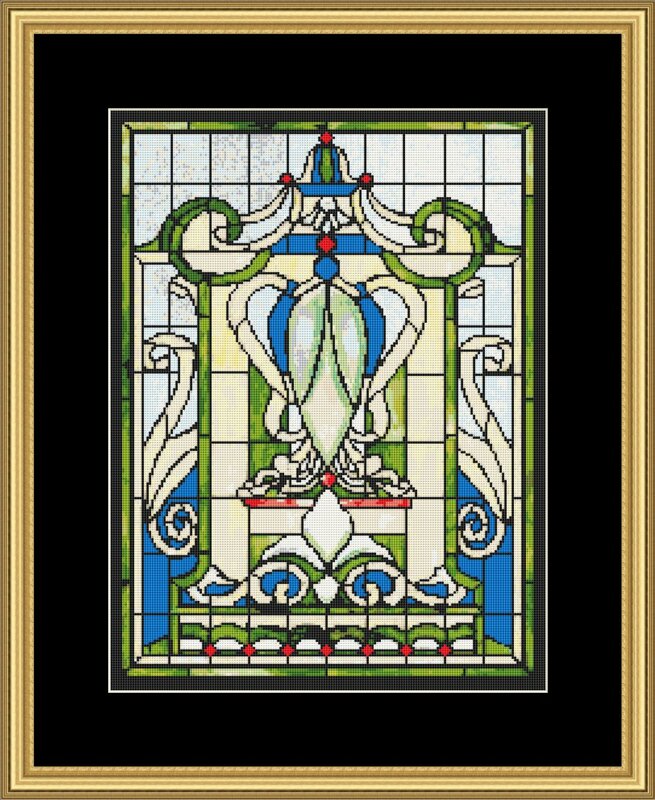 This pattern has been updated and simplified from the original. 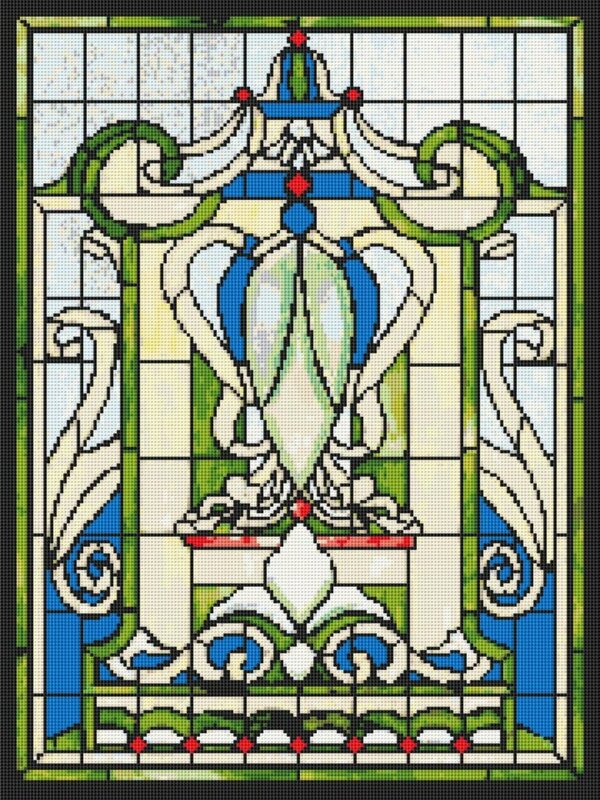 For 14 holes per inch, finished size will be 12.9" x 17.1".